Provide comfort for the family of Michael Kilby with a meaningful gesture of sympathy. 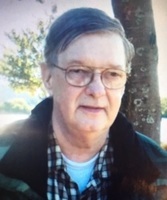 Bangor – Michael John Kilby, 63, passed away April 3, 2019. He was born February 19, 1956 in Bangor, the son of William L. and Gladys (Morrison) Kilby. Michael worked a variety of jobs, including kitchen work, dishwashing and custodial work. Michael was a very strong, likeable, and quiet man. He loved to play bingo and enjoyed being with people, especially at social gatherings with family, church family, and friends. To Michael, family and faith was everything. He was also an avid sports fan, and especially enjoyed the Boston Red Sox. He will be missed by all who knew him. Michael fought a brave battle with bladder and lung cancer, never complaining despite the toll his illness took on him. In addition to his parents, he was predeceased by his brother, Brian; sister, Gloria; and nephew, Tom. Michael is survived by his sister, Patricia; nephews, Shane, and Galen; great-nephew, Levi; as well as many cousins, nieces and nephews. The family would like to give special thanks to Darlene Hallett, Tess Collins, Jessica MacPhail, the staff at Northern Light Homecare and Hospice, Cancer Care of Maine, Healing Spirits, and the residents and staff at the Bangor House.